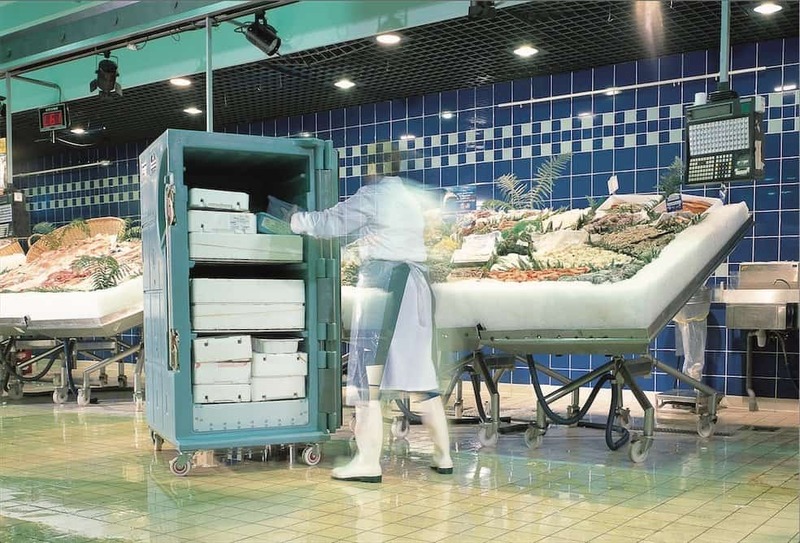 Traditional refrigerated transport can be a debilitating expense to any cold chain logistical operation. Third party refrigerated transport solutions are not only expensive, but leave your operation at the mercy of a well-supplied and maintained fleet to fulfill your cold chain management requirements. Frozen and chilled goods can suffer from thermal exposure once they leave the temperature-controlled environment of refrigerated transport until reaching retail storage and packing areas. This variation in temperature can have serious ramifications for your Quality Management System. 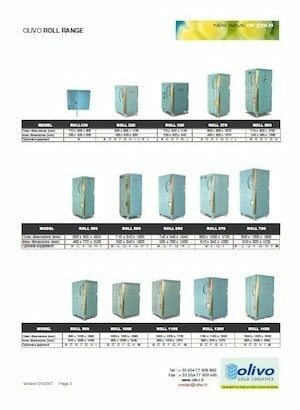 CoolPac offers a unique solution to this refrigerated transport problem. 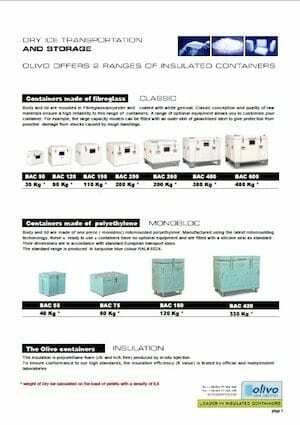 Our Olivo Insulated Shipping Containers maintain the integrity of your cold chain goods by being independently and passively temperature controlled. Our wheeled storage containers give you the ability to safely manoeuvre your goods to the Point of Sale, all the while maintaining your cold chain integrity. Our Olivo shipping containers offer you complete transport flexibility with the ability to transport both chilled and dry goods in the same truck, with the added benefit of safely maintaining multiple temperature zones. These mixed loads can then be transported in smaller, more direct trucks, saving money on specialised delivery routes.